Vitamin deficiencies are caused by an unbalanced diet. An unbalanced diet is caused when you make unhealthy food choices. Once you learn which foods are the right foods for you, you will easily remove any vitamin deficiencies you may be suffering from. Over-eating will be a thing of the past! In fact when you consume the right foods and follow the right eating guidelines, you may also reverse disease conditions, reach optimal health and lose weight naturally and automatically for good. If you want to make a total difference to your health and your body, to remove all and any nutrient deficiencies, then you have come to the right place! This is a total health transformation program which has everything you need under one roof. The program is based on solid scientific research that most health and weight loss companies don’t want you to know. 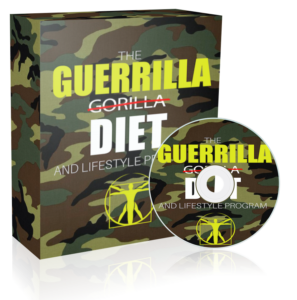 The program will help you not only transform your eating habits easily, but also transform your thinking patterns which got you into your current situation in the first place. Once you learn to take full control and responsibility over your choices, you will have mastered your health, reach optimal energy levels and also will have gained mastery over your life. There is no other program on the market like it, and there never will be! 1. Learn only from someone who has done it, who has results, who has experience and who has the knowledge. Learn from people who have what you want. People don't succeed because they listen to the wrong people. They get the wrong information. 2. You must have a high willingness to learn and a high willingness to change. You know you have them if you're willing to give up some things that are important to you. When your desire for something goes up, so does your willingness to learn. Your willingness to change goes up when you are willing to give up some comfort and change your patterns of thought and behaviour. Change is never easy, for new habits to form, new neural pathways must be created and this takes time. 3. There must be change in both your actions and your thought patterns. None can work successfully without having the other in balance. On one side you must work on how you think and how you feel: what goes on in the mind, thinking, thoughts, desires, dreams, goals, attitude, objectives, vibration, energy, feelings and emotions. On the other side you must work on the actions, what you do. Techniques, plans, activities, the physical actions that you do. 4. 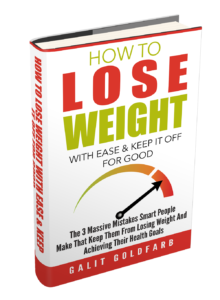 You want to get your new habits to function on automatic pilot where you no longer have to think about them, where you function properly automatically. You get there by following the right plan based on overcoming any fears and objectives you have along the way. 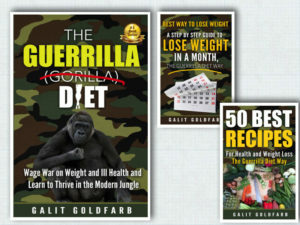 The Guerrilla Diet 3 ebook Series - Get all the knowledge, recipes, motivation and inspiration to completely transform your health no matter what your current situation is. The Magic 8 Step Formula To Success and Fulfillment Online Training Program - Learn the proven principles of success, happiness and fulfillment that will lead you on the journey to lasting happiness and fulfillment in life.